Built to handle any design and light simulation, Acer workstations with NVIDIA Maximus technology offer the best possible performance for 3D applications and simulation jobs designed for CUDA or OpenCL computing. Certified on the Acer Veriton P530 F2 workstation, NVIDIA Maximus allows designs and engineers to create without the wait. For real time imaging and compute, applications such as Dassault’s Catia Live Rendering, Autodesk Inventor and 3DS Max, and ANSYS Mechanical can take advantage of the compute power of over 2000 cores in an NVIDIA Tesla K20 card, while rendering the results in 3D using the NVIDIA Quadro K5000. The result is a complete system capable of reducing design times and slashing TCO. In ultracompetitive markets, it’s critical to shorten design cycles and present designs in their most compelling format. Digital prototyping provides an invaluable tool that allows designers to iterate and visualize extremely quickly and accurately. Plus, the organization can involve clients much earlier in the design process while giving them higher confidence in what they’re commissioning. 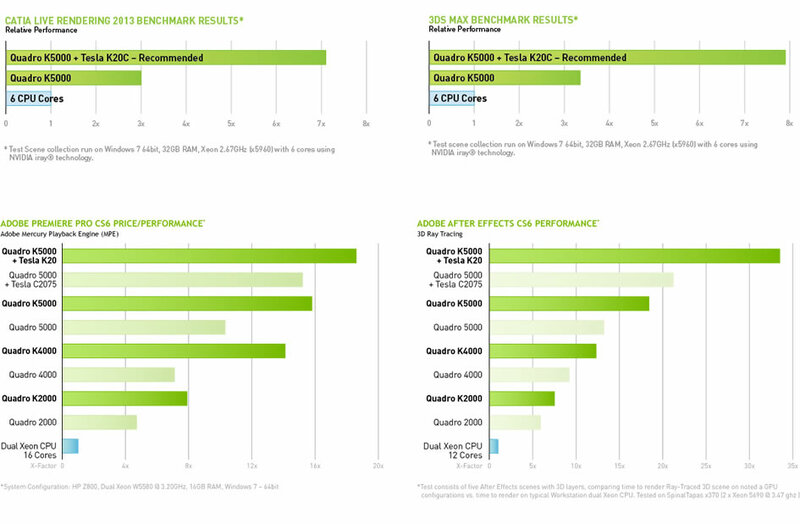 NVIDIA Maximus technology helps users achieve great results in a fraction of the time. The Veriton P Series workstations give you the multi-core power, graphics performance, and rock-solid stability required for demanding applications like 3D animation, CAD, and digital imaging. Enterprise-level expandability and redundancy allow you to tackle even the largest projects without hassle or fear. With robust expandability up to 3 GPU cards in a single system, 16 Intel Xeon cores, and 256 GB of memory, the compute and rendering power of the Veriton P series is massive. At the same time, these systems offer whisper quite performance to deliver high performance computing to the office. Who needs Acer workstations with NVIDIA Maximus? Workstations offer peak computing performance in a robust package for engineers, designers and researchers. NVIDIA Maximus technology represents the best possible performance of the Acer workstations, but companies deciding to implement the technology should consider the following. Is my application capable of running CUDA or OpenCL code? This is essential for GPU offload required to leverage the GPUs. Is my bottle neck a compute or rendering issue? 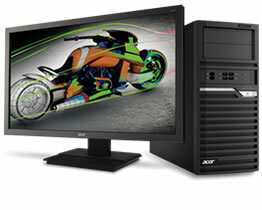 Acer workstations support a range of NVIDIA Quadro cards – from Quadro 400 to 6000 – and if you are considering a Maximus deployment, the amount of rendering verse compute is an important consideration before purchasing a new card. Do I need new hardware or new software? It is important to identify software and their related applications before migrating to even higher-end workstations to ensure the purchase will in fact benefit the given solution. Software certification – Not all software is certified to run on NVIDIA Maximus, but Acer can help work with customers to understand which software can take advantage of GPUs for both rendering and parallel computation.